112dB announced that their popular Redline Reverb device now has a younger brother – Mikron Reverb. It has a simplified design, like a pedal, which speaks for its ease of use. Most of the parameters of the older version are hidden behind a few controls, and you can get the same quality sound without being distracted by the details. 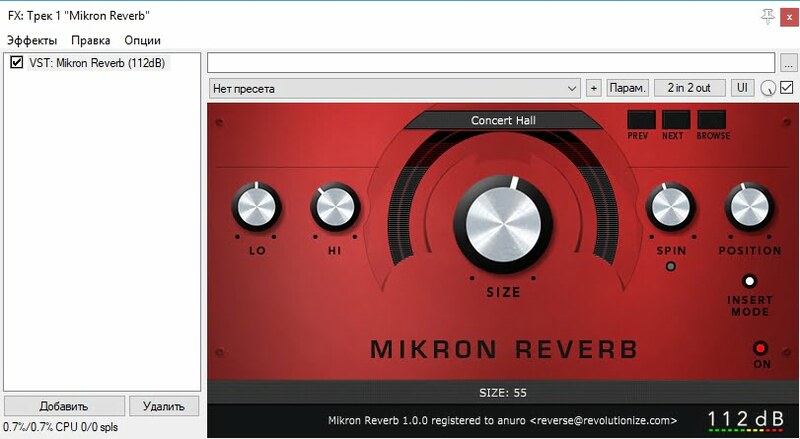 Mikron Reverb contains a kind of “clever algorithm” that determines ideally suitable parameters for different spaces, so that you can always get a perfectly sounding reverer, no matter what kind of knob you twist. It is said that using the plug-in you can make very long tails, which allows using it to create atmospheric sounds.